rapidor is an order management system that offers fast-moving consumer goods (FMCG), automotive, fashion, and consumer durable goods manufacturers and distributors a centralized platform from which to create and manage orders. Incorporating tools to manage products, inventory and sales, rapidor aims to deliver a comprehensive order management solution. Operating as a powerful B2B application, rapidor allows users to produce product catalogs, create and manage orders, control inventory, and oversee payment processes, with live inventory, payment, and order fulfillment updates. To enhance user productivity, rapidor equips users with quick data export and import, instant product updates, and an unlimited contact database. With extensive tracking features, rapidor enables users to track sales team performance, attendance, and real-time inventory status. Integrated GPS allows users to locate, monitor, and communicate with their sales team in the field. By supporting integration with applications such as QuickBooks and Tally, rapidor serves to streamline accounting and ERP activity. Utilizing reports and performance dashboards, rapidor also allows users to gain actionable insight into business performance. There are currently no reviews of rapidor. To receive accurate pricing information, contact rapidor directly. rapidor is available as a native mobile application on Android, affording users the flexibility to place sales orders, collect payments, and check stock levels on the move. rapidor supports application integration with QuickBooks and Tally, allowing users to manage accounting and ERP data within the rapidor platform. rapidor includes reports and performance dashboards, enabling users to gain insight into sales team performance & various other business metrics. rapidor allows users to create an extensive product catalog with an unlimited number of products, complete with descriptions and high-quality photos. rapidor assists users in importing and exporting product details and contact information. Below are some frequently asked questions for rapidor. Q. What type of pricing plans does rapidor offer? Q. 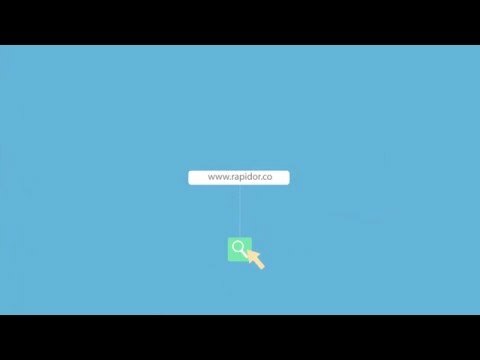 Who are the typical users of rapidor? Q. What languages does rapidor support? Q. Does rapidor support mobile devices? Q. Does rapidor offer an API? No, rapidor does not have an API available. Q. What other apps does rapidor integrate with? Q. What level of support does rapidor offer?